Last week, I highlighted 5 of my favorite free interactive live wallpapers that you could use on your Android device. But where do you go from there? What's the next step up? While the regular old interactive live wallpapers are amazing, if you can't stop thinking about your next level on Candy Crush Saga or how you're finally going to win at Running Frenzy, try a few playable interactive live wallpapers instead. You don't just interact with these wallpapers, you play them like you would any other Android game. Gaming wallpapers are great because they're ready to play whenever you want—and for however long you want. Don't have enough time for a CCS level? Just whip out your wallpaper. Feeling the insatiable urge to get your game on, but only have 30 seconds before class starts? Play your wallpaper. There aren't as many gaming wallpapers available as there are regular interactive live wallpapers, but that doesn't mean that aren't some really great ones out there. So, I've compiled a list for you of what I consider the top seven free playable interactive live wallpapers. 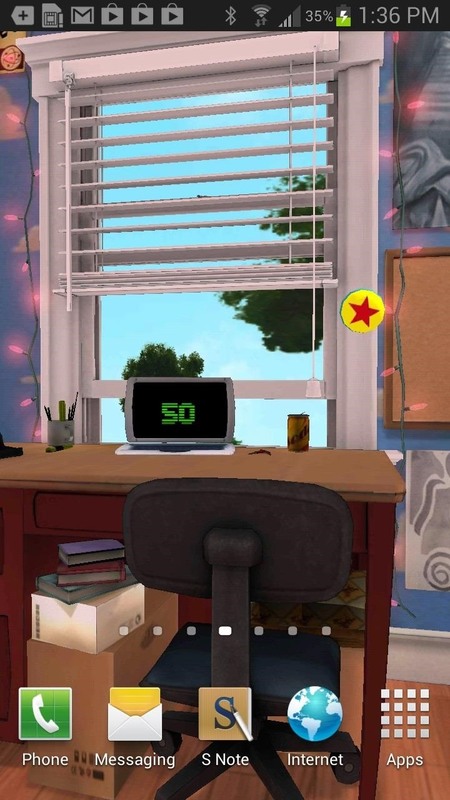 With the Disney's Toy Story: Live Wallpaper, you can enter the bedroom of Andy from the Toy Story movie series. Not only can you interact with objects around the room, but you can also unlock different characters from the movie including Woody, Buzz, the Aliens, and more. To unlock them, you'll have to collect points, which show up on the alarm on the desk. 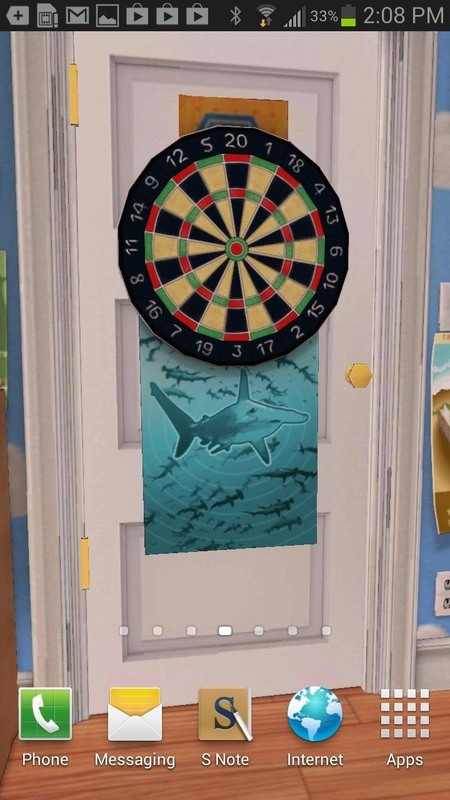 If you want to collect points, you can catch the falling Army Men or hit the dartboard's bullseye on the door. The graphics are fantastic and you can even watch the day change from sunrise to sunset through the window. 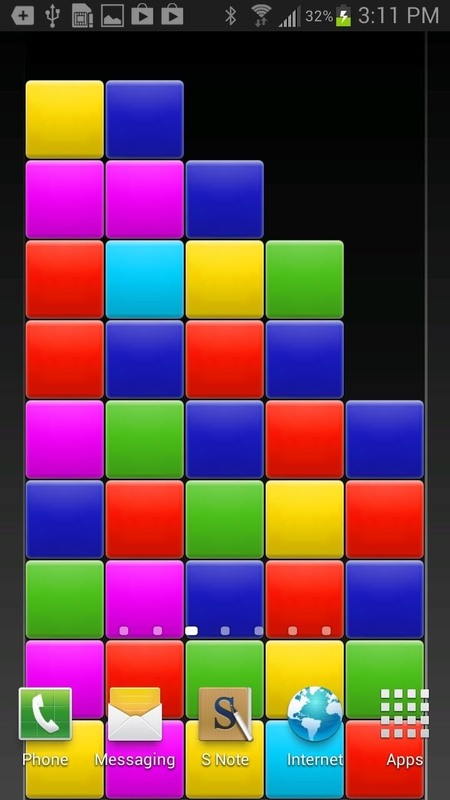 Puzzle Blox Live Wallpaper by Android developer André Rabold is a popular game turned interactive live wallpaper. 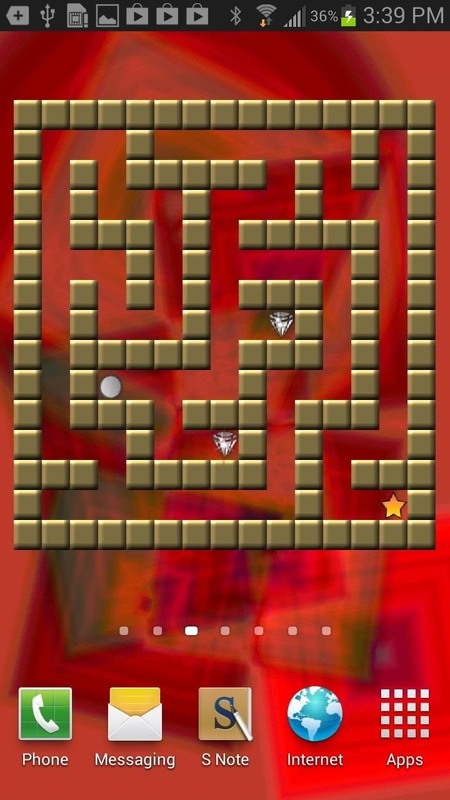 The purpose of the game is to swipe across blocks in groups of 3 or more, removing them from the playing field. To make more blocks appear, you can swipe/tap on empty space and you can also rotate your phone to make the blocks fall into different places. If you end up stuck with no groups of 3, simply shake your phone to restart the game. 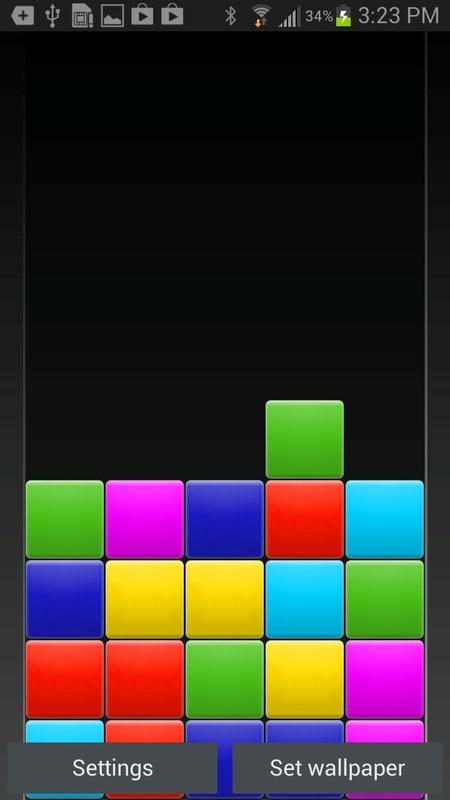 Inspired by Tetris, Blocks Live Wallpaper is a tile matching puzzle game live wallpaper by Android dev Jug6ernaut. 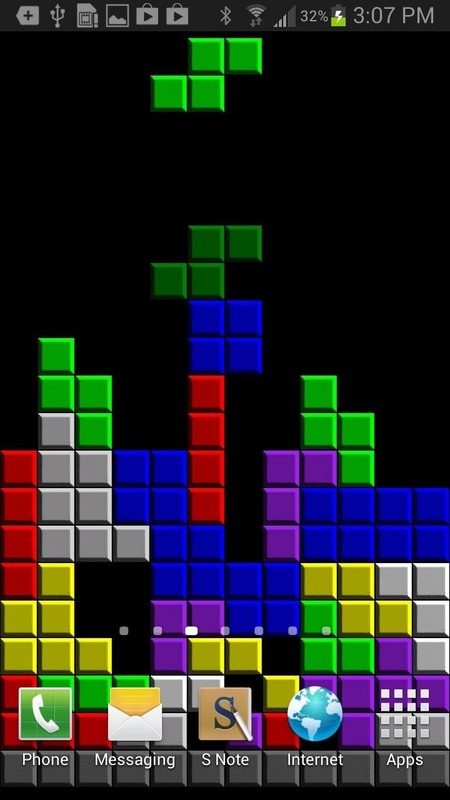 Once you set it as your wallpaper, the game will automatically begin, placing pieces on its own accord. If you want to start playing, double tap anywhere on the homescreen. 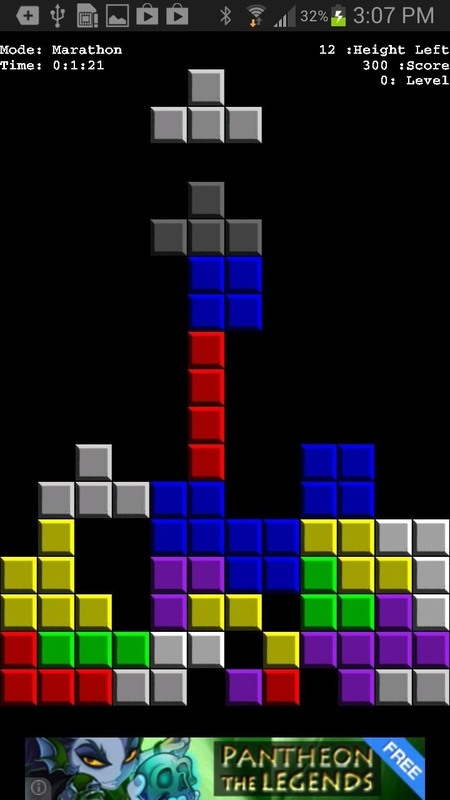 To play, all you have to do is slide your finger horizontally to figure out where you want to place the block, tap on the screen to change the block's orientation and swipe down to lay the block down. You can also check out Blocks Live Wallpaper Pro ($0.99), which has additional features such as custom colors and images, no ads, and an extra game. 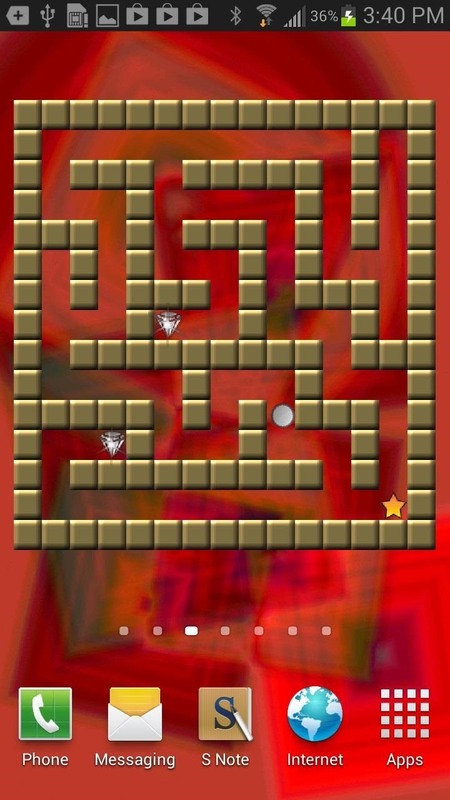 With Diamond Maze from Eelooz, you can tilt your device in all directions to move the ball through the maze, collecting all the diamonds before reaching the star, which then moves you on to the next stage. Check out the developers page at &Bling, where you can also find more live wallpapers. 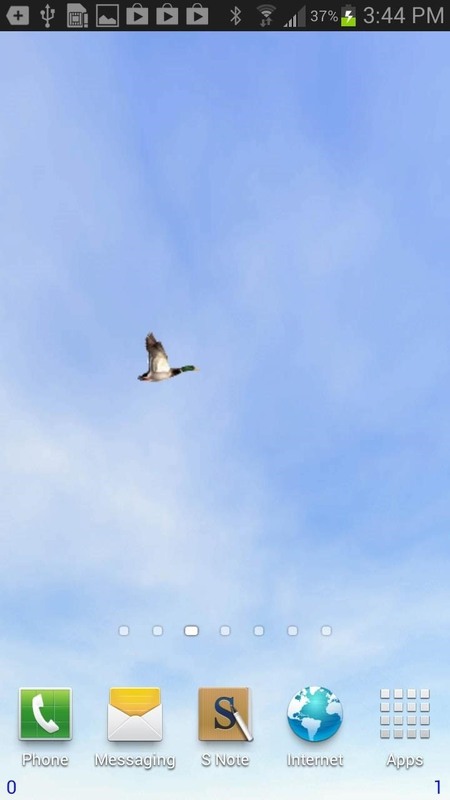 If you've ever played Duck Hunt on the NES and want to relive that nostalgia on your Android device, check out Duck Paper by Android dev Richard Hyndman. All you have to do is tap on the birds that fly across the screen, awarding you one point (seen at the bottom right corner). 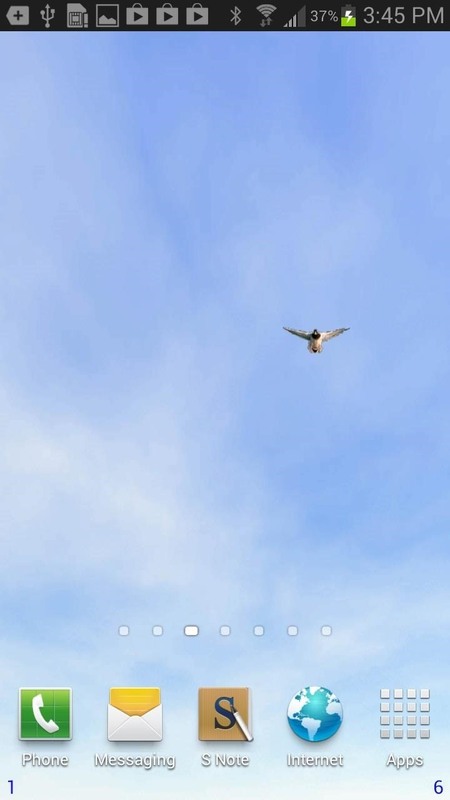 If one of the birds passes successfully, they get a point as well (at the bottom left corner). Looking for something a little more like Duck Hunt? Check out Shoot the Ducks, a full game by the same developer. 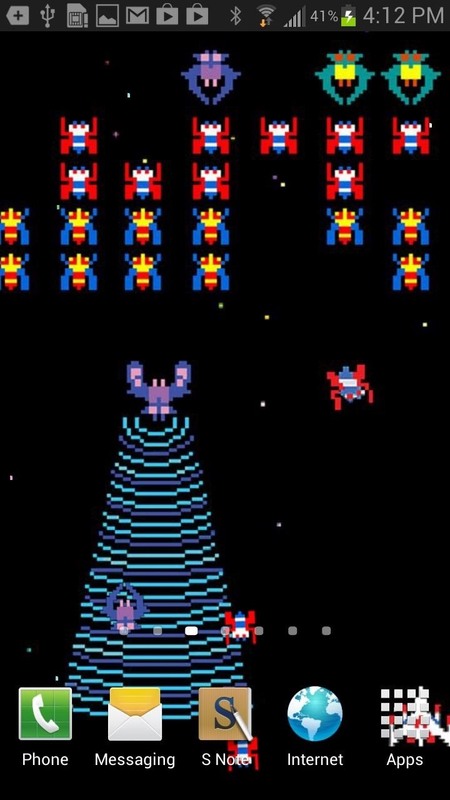 If you're a fan of the Galaga arcade game, Space Destroyer just might be for you. The live wallpaper by Awesomeappsforandroid plays on a variation of the game. 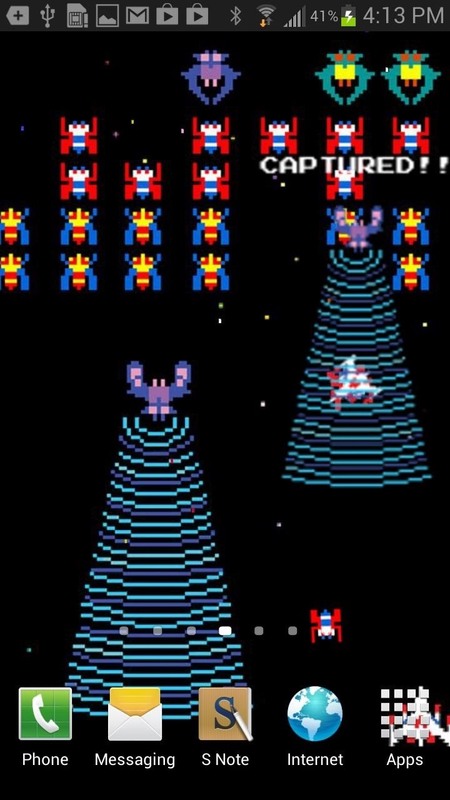 All you have to do is tap on the enemies coming down the screen and they'll be captured by a net. 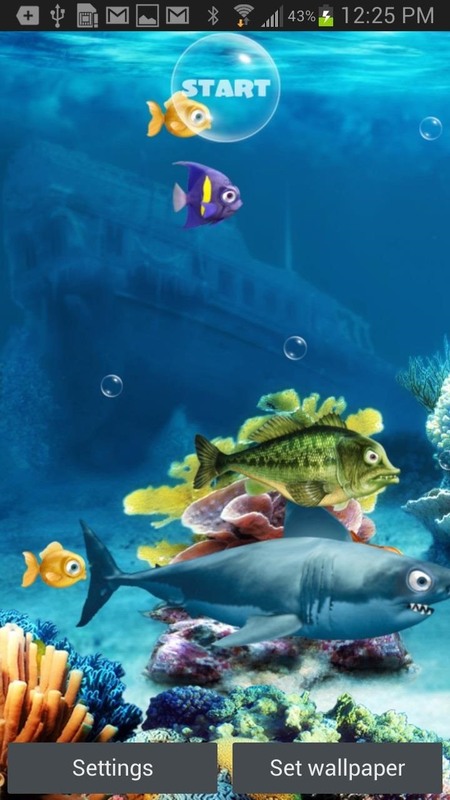 Crazy Fish Live Wallpaper Free by Visualz is an under-the-sea wallpaper app that also doubles as a pretty cool game. 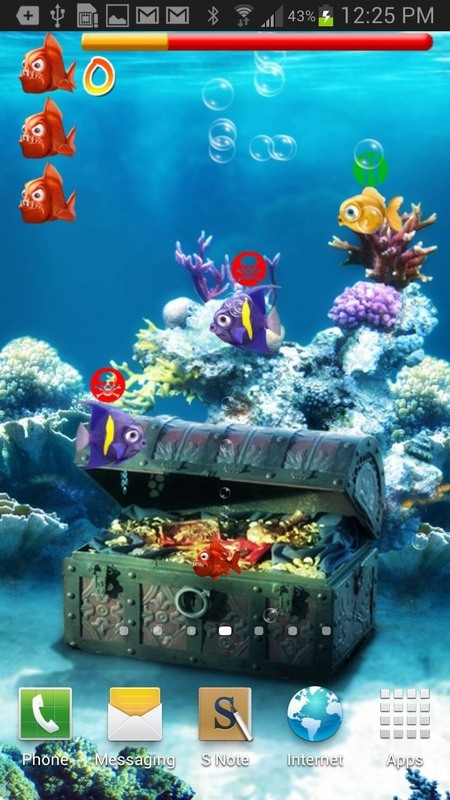 Once you start the game, the object is to eat as many good fish as possible while staying away from the bad. If you accidentally eat a bad fish, you lose a life—with only three to spare. The number of games you can play is limited in the free version, so if you like it you can grab the paid version for $1.42, which comes with unlimited games and no ads. Have a favorite playable live interactive wallpaper that didn't make the list? Let us know in the comments below. And if you want more cool wallpaper options, try a Photo Sphere live wallpaper.